Hapag-Lloyd Cruises will be letting passengers set the course on a mystery cruise departing from Istanbul, Turkey, in May. 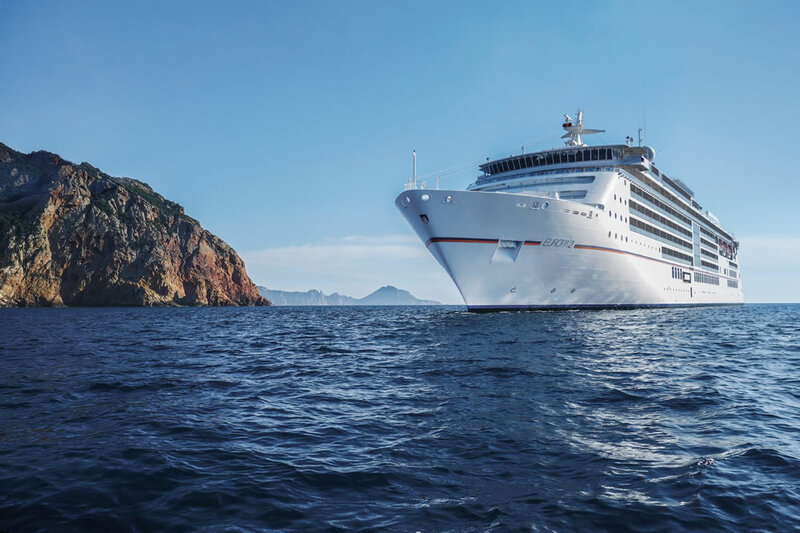 At a time when cruise lines such as MSC Cruises and Crystal Cruises have suspended calls to Turkey, Hapag-Lloyd Cruises continues to offer itineraries in the region. In fact the cruise line will hand over responsibility for deciding upon an itinerary to its passengers sailing on a 10-night ‘Surprise Cruise’ in the Eastern Mediterranean. Christian van Zwamen, captain of EUROPA 2, will present the possible routes and ports, as well as recommendations on the best spots to find sunshine. A lecturer will be on hand to describe the highlights of the potential destinations. Passengers will then vote democratically to define the route around Greece and Turkey. Limenas boasts long, sandy beaches and peaceful bays. Kavala has a Byzantine old town. Thessaloniki is a UNESCO World Heritage Site. Limnos offers green, fertile landscapes full of olive trees. Volos is home to the famous Meteora monastery complex. Mitilini is a great place to sample ouzo. Dikili is the most famous excavation site in Turkey. Kusadasi allows easy access to the impressive ruins of Ephesus. Skopelosis where the hit film Mamma Mia! was filmed in 2008. Chios offers excellent waters for divers. Samos is small but beautiful, with white villages and the remarkable ruins of the Hera Temple. Bodrum draws visitors with its hidden bays. Rhodes is an old town encircled by fortified walls. Agios Nikolaos is close to the Palace of Knossos. Delos is almost an uninhabited island and is also a UNESCO World Heritage Site. Mykonos is a glamorous Greek island. Santorini is known for its whitewashed, cubist houses and panoramic views. Nauplia is full of narrow alleyways lined with small shops and tavernas. The only certainties are that the cruise will depart Istanbul, Turkey, on 14 May and arrive in Piraeus (for Athens), Greece, on 24 May. The first “Artistika” Circus Arts Festival will also take place on-board this sailing, and German jazz and pop musician Roger Cicero will be performing live during the cruise. Six stars from the circus will display their unique talents in the on-board theatre on Deck 4. The panel of judges – Nina Burri (contortionist), Fafa (clown), Oropax (chaotic theatre duo) and Peter Shub (clown and director) – will join the audience in choosing the best acrobat at two competition evenings, with Roger Cicero as patron. The 10-night Surprise Cruise departs Istanbul, Turkey, on 14 May 2016. Prices start from £3,600 per person based on two sharing a cabin on a cruise-only basis.